Featuring a romantic garland, this gold bangle is full of vintage influences from bygone eras. An exquisite antique gold tone bangle featuring a trailing garland design, this is simply divine. 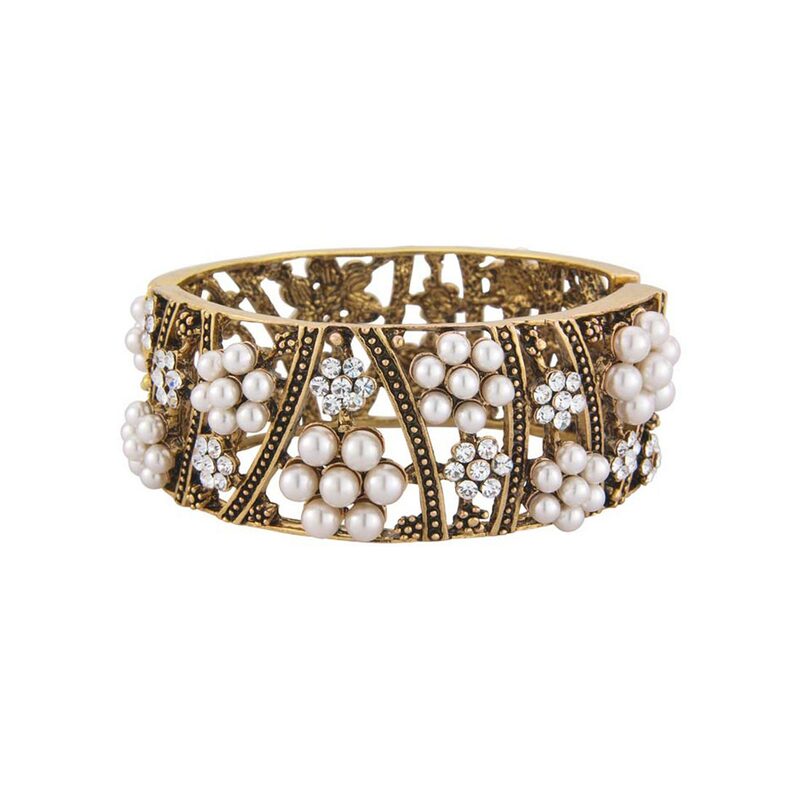 Reminiscent of a treasured 'piece' of vintage jewellery, it's adorned with antique ivory faux pearl and sparkling crystal flowers which are set around the entire length of the bangle. If you adore the romantic charm of vintage costume jewellery from bygone era's, you are sure to fall in love with this 'piece'. Simply coordinate with antique gold and crystal earrings for classic style and, for special occasions, team with a bejewelled side tiara. A fabulous wedding bangle for brides embracing timeless vintage glamour, this compliments antique inspired bridal gowns to perfection.